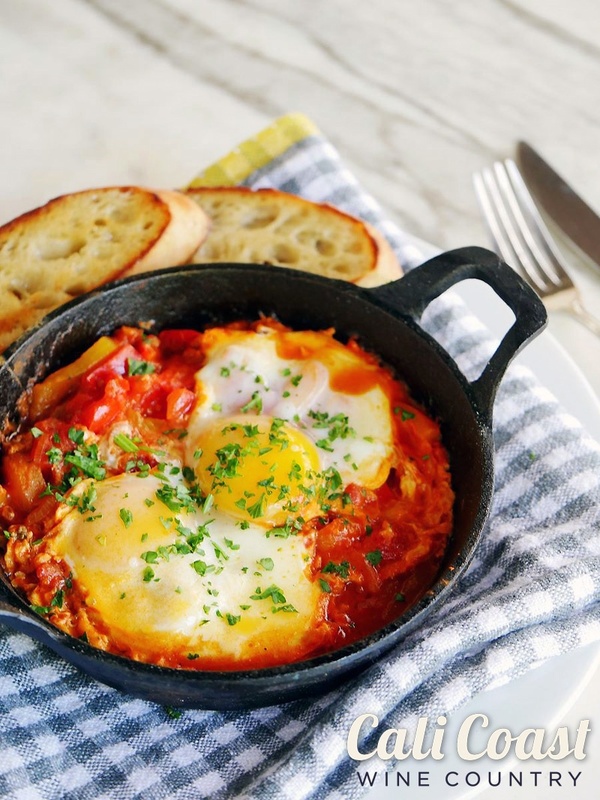 With items like breakfast pizza fritta, shakshuka eggs, housemade levain breads and seafood galore, it’s difficult to pick a dish from the new weekend brunch menu at Jane at the Marketplace in Goleta. 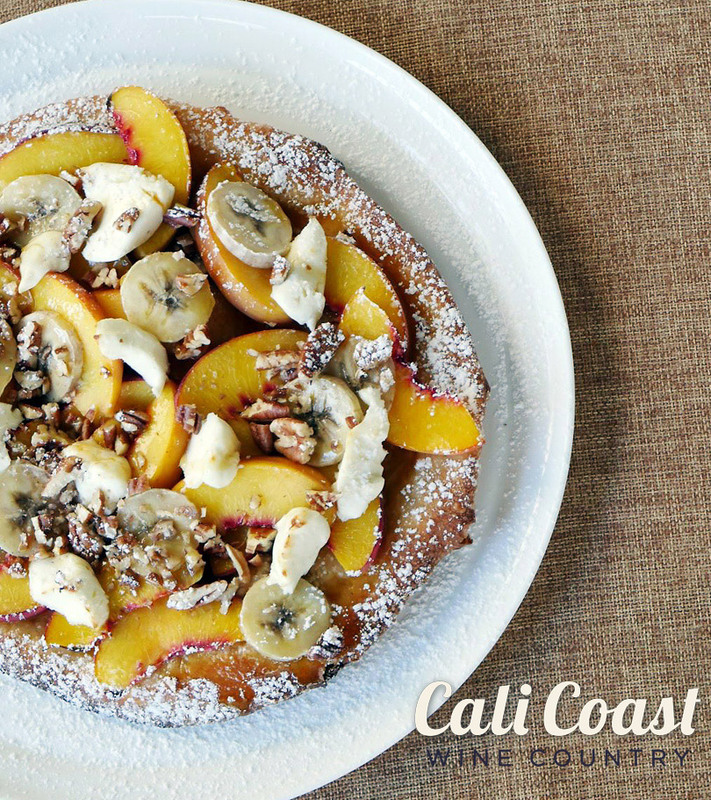 After 8 years in the downtown Santa Barbara location, Jane expanded to this outpost and added brunch to their French and Mediterranean inspired menu. 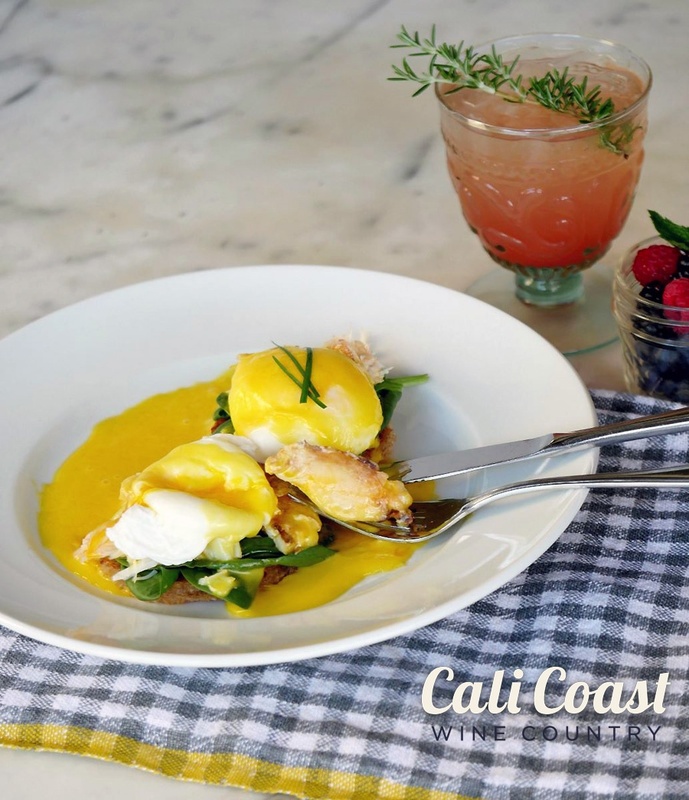 Fall’s seasonal benedict is made with local Santa Barbara rock crab over fresh spinach and sliced tomatoes on a housemade bun. And the rock crab is extremely fresh, sometimes only hours out of the ocean (and never frozen). At Jane, the kitchen staff for each shift calls in the seafood order for the next meal service, which means this crab is ordered from Santa Barbara Fish Market the night before. All seafood is delivered twice daily, chosen from the market’s daily fresh offerings. Almost all the bread at Jane is sourdough – including the fried pizza dough in the pizza fritta (peach or banana breakfast pizza) – and made in-house from a starter that’s been alive as long as the restaurant. 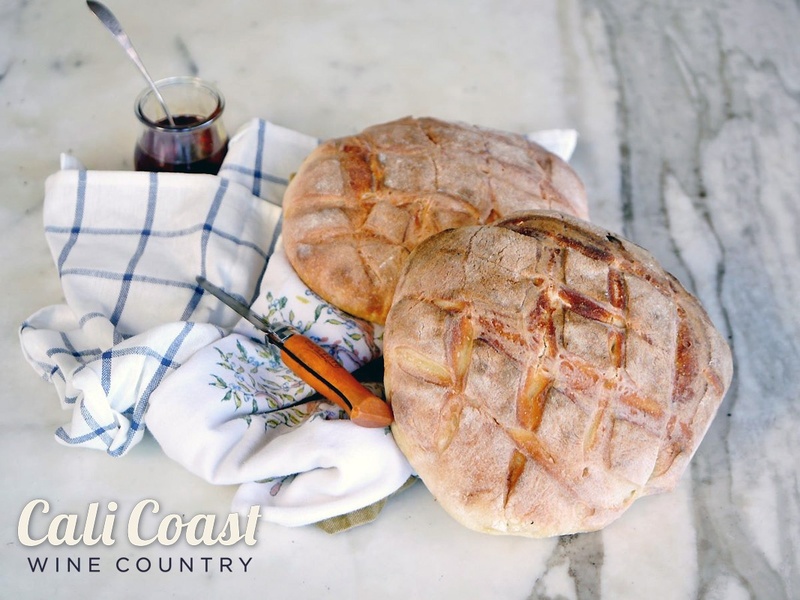 Chef Mark Huston started his bread for the Goleta location almost 2 years ago when they opened, so that local yeast would contribute to the bread’s taste and makeup. This signature bread is still evolving with the air, and adorning tables and dishes at brunch, lunch and dinner. And it goes so well with bright, sweet crab and delicate, French-style Hollandaise sauce. To make the dish, Huston gently boils the crab in salted water for 10-15 minutes, then cools and cracks the crab and removes the meat. He grills the buns in clarified butter (you can sautée in a skillet) and tops that with sliced tomatoes and fresh spinach. 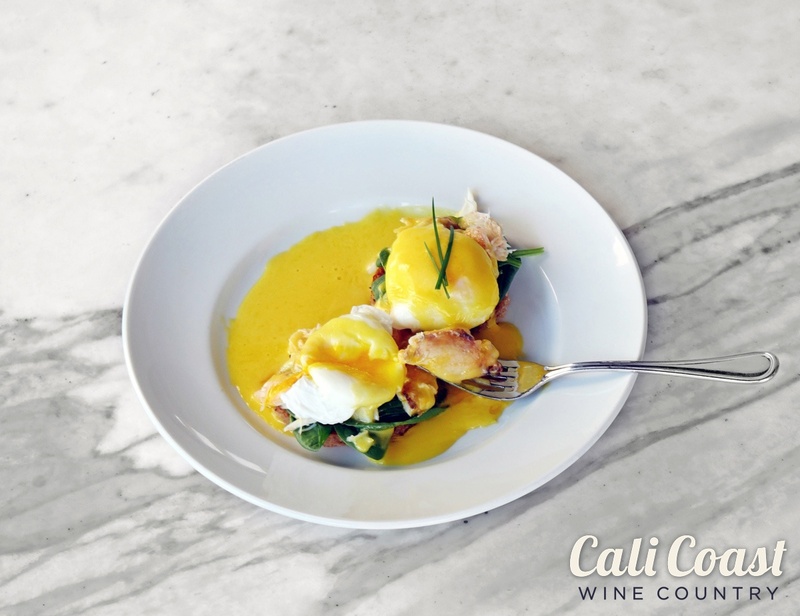 He makes Hollandaise sauce by blending egg yolks, lemon, vinegar and clarified butter, then adds a tiny spot of hot water at the end (this makes it lighter and more delicate). He adds a poached egg to each bun, tops with the fresh Hollandaise and garnishes with herbs or chives. Industrial Eats owner/Chef Jeff Olsson has been cooking from locally sourced, organic ingredients long before “farm-to-table” was born. In the late 80s, deep in Amish farming country in Pennsylvania, Tuscarora Organic Growers co-operative took root, supplying restaurants in the Washington D.C. area with locally grown, organic produce. This co-op helped keep small farms afloat by coordinating crop production to complement each other rather than compete. Restaurants had more varied produce and farmers made more sales. 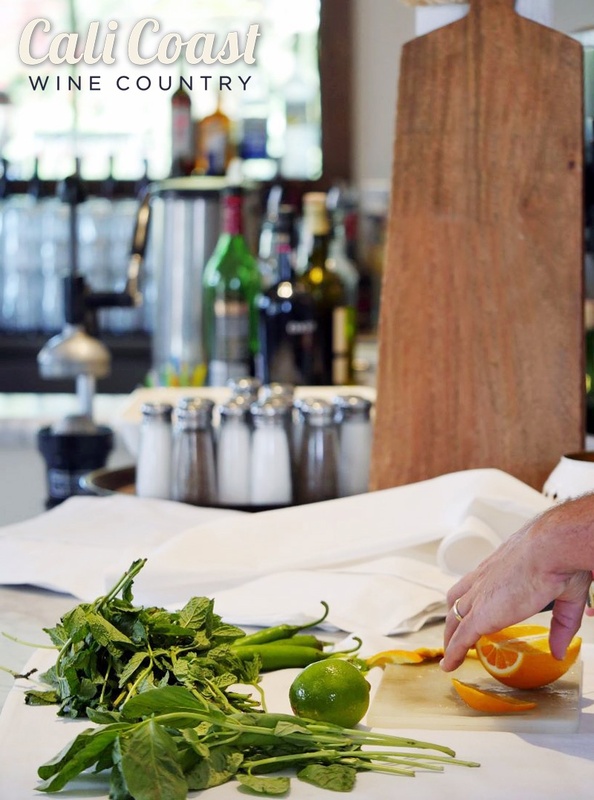 Jeff Olsson has been cooking for a long time in Santa Barbara wine country. Before that, he cooked with various acclaimed chefs for an even longer time all over the U.S. Learning delicious lessons from them all, he brought his skills and know-how right here to the most gorgeous wine country in California. While cooking at Miller’s Red Sage and Restaurant Nora (the first certified organic restaurant in the U.S.) Olsson felt lucky to have access to such diverse produce grown organically nearby, and remembers faxing his orders to the co-op. This kind of farm-to-restaurant link was radical at the time, where chefs could even tell farms what they’d like planted for next year. or Olsson, this kind of food just tastes better – it’s great because it was in the ground 36 hours ago. Now at his Buellton restaurant, most everything is sourced locally, including pork. He sources heritage breeds like Kunekune, Mangalitsa and Berkshire crosses exclusively in Santa Barbara county, where the pigs are raised humanely. Butchering and curing is done in-house, with Valley Piggery even helping teach a Butchering class in Olsson’s kitchen one weekend every 2 months. Restaurant cuts from the class are used in the dishes. Part restaurant, part retail shop, part butcher shop and classroom (you too can learn how to properly butcher a whole pig! ), this funky space has a warm, homey feel and serves up gourmet comfort food like chicken livers with guanciale and capers on crostini, beef tongue pastrami sandwiches and spicy shrimp al ajillo with pancetta, chiles and garlic. There are also interesting pizzas, bursting with flavor, local salads and perfectly seasoned vegetables. The dishes are simple, savory and most often cooked in one of two wood-burning pizza ovens right on the dining floor. They’re washed down with local beer and wine on tap, which allows one to taste the upcoming vintage in a fresh and economical way. Several dessert choices and plenty of exotic cheeses round out the selections. The diner is in heaven. The Carbonara Pizza (or Breakfast Pizza before noon) features pancetta from those local pigs, Parmesan cheese, a seasonal vegetable and a farm egg on top. To make the dough, Olsson uses only 4 ingredients: Italian 00 pizza flour, yeast, water and salt – anything more only brings the quality down. After kneading, he lets it rise in the fridge for 24 hours. He then stretches the dough by hand, spreads olive oil across the top, then adds salt and pepper, Parmesan cheese, pancetta and vegetables. He cracks an egg in the middle and slides it into an 800 degree wood-burning oven for 4-7 minutes. To cook at home, place a cast-iron skillet upside down in your oven and turn the heat all the way up. When the skillet is hot, cook the pizza on the skillet for 10-12 minutes or until dough is done. Succulent Café, Wine & Charcuterie is one of the few places in the valley for house-made charcuterie, and it’s superb. If you’re one of the folks who’ve never heard the word charcuterie, it would serve you well to add some food info into your news apps and feeds…and maybe you’d also have discovered the cronut by now! Charcuterie is a French word for various dried and cured meats and Succulent cures their own. You don’t want to miss out on this heavenly artisan cured meat plate, expertly paired with various accoutrements: assorted pickled vegetables, dried fruits and nuts, various flavors of mustard and flavor profiles of honey you’ve probably never tasted before. You can (and should) also add farmstead and artisan cheeses to the plate, ordering cheese or meat only, or a 2+2, 3+3 or a 4+4 plate, shown above. I also love the vegetable relish tray! Served fresh or slightly pickled, these vegetables are dipped in homemade bleu cheese and ranch dips. But enough about my love of cured meats: Succulent also has a wonderful breakfast, lunch and dinner menu with fresh flavors, twists on classics and just plan good eatin’. Breakfast’s bests are the biscuits! Topping choices: pulled pork, meatloaf, bacon gravy fried pickles and more. Lunch is expertly crafted sandwiches like these delicious classic Reuben and fried artichoke sandwiches. Dinner is a delight as well with dishes like coffee & cocoa crusted beef tenderloin with chipotle mash, wild mushrooms and pasilla chili sauce and pumpkin seed crusted rack of lamb with yellow pepper sauce and crispy potato-asparagus hash. There are really too many delectable dishes to name here! The buttermilk fried chicken salad has tender, moist chicken with a perfect crunch and the chef’s salad is a twist on the original including house-made charcuterie, artisan cheeses and picked vegetables. Seasonal salads like the honey roasted organic root vegetable salad shines with Humboldt fog goat cheese and sherry vinaigrette. As for wine and beer, Succulent has a solid list of hand-picked local wines that changes regularly, including Longoria, Melville, Cold Heaven, Kunin, & Margerum, as well as some old world wines. My favorite thing to drink no matter what time of day is Triennes rosé. Hello? 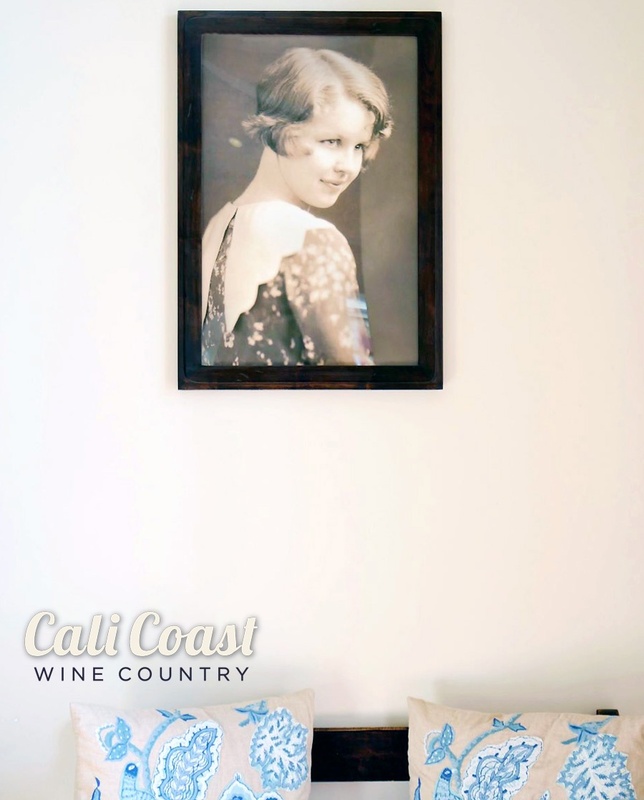 We are right in the middle of Santa Barbara Wine Country. There are so many amazing small production wineries in the area that we can hardly decide whose wines to carry. That being said, we feature a small list of hand-picked local wines that changes regularly. We also carry some select old world wines to keep our local wine industry interested. Some of our labels include Longoria, Melville, Cold Heaven, Kunin, & Margerum. This area also has great handcrafted beer. We sell Figueroa Mountain Brew by the bottle and carry Firestone. In addition, we have a list of other selected beers by the bottle.We make our own lemonade and offer infused lemonade on a daily basis. Some of our past lemonades have included prickly pear, green apple, and watermelon. Call us for the daily selection. We carry local green star coffee and fresh brewed iced tea. You can find an assortment of unique bottled beverages in our case, including the up and coming farm-to-bottle Pop Culture artisan soda brand – handcrafted with raw fruit.